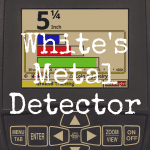 For more than 60 years, White’s Electronics has been a trusted name in the metal detecting world. A family-owned business that makes its products in America, White’s is one of the top metal detector brands. 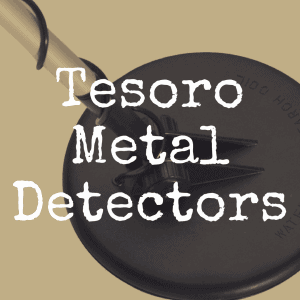 When you are looking for a new metal detector, you might be overwhelmed by the choices out there. Making the right choice is a necessity, because if you choose the wrong machine for your purposes, you’ve wasted a lot of money and possibly soured yourself on metal detecting forever. 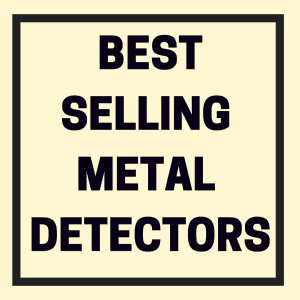 You don’t have to worry about wasting your money when you buy a White’s detector –- they will all offer high quality. Loyal customers of White’s Electronics often say the company has fantastic customer service. White’s machines range from reasonable to super expensive. How much you are willing to pay is a personal decision. 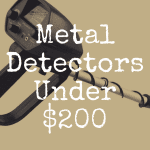 Below, please use our interactive table to compare some of the most popular White’s metal detectors on the market against one another (based on everything from price to key features). 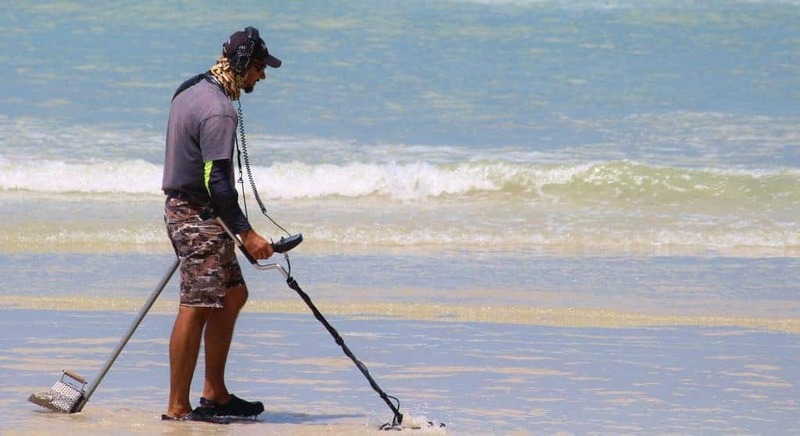 When I started metal detecting, I tended to buy less expensive machines because I didn’t fully realize how much better the high-end machines were. I didn’t know what any features did or what I should look for in a detector. With my first detector, a low-end Bounty Hunter, I took it outside without reading the instructions. In my first few minutes as a detectorist, I was happily digging targets, feeling like Indiana Jones out there uncovering important historical artifacts. In reality though, my targets turned out to be modern-day nails. That’s because I hadn’t learned anything at that point but to listen for a beep. I dug everything that made a sound on my detector. 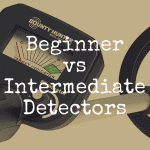 While some detectorists might look down on my method, it was how I learned. I didn’t want to sit inside, reading a manual for hours at a time. I wanted to be digging. And my method did teach me a valuable lesson – I didn’t want to find nails all day. I wanted to find the good stuff. That motivated me to try different things and to consult the manual for guidance. It also eventually led me to the conclusion that I wanted to upgrade my machine to something better. It’s okay to start with a lower-end machine. You’ll still find great stuff. The detector that’s best for you depends on your needs and comfort level. You can have the best machine in the world but if you don’t put the time into it to learn how it operates, it won’t be any more beneficial to you than a low-end machine will. 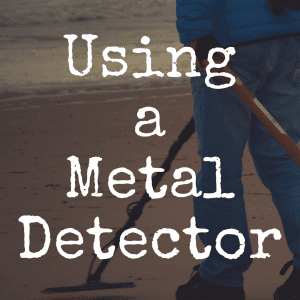 Deciding which metal detector to buy can be an agonizing decision. I know detectorists who put more time and thought into choosing their next machine than they put into their relationships. If you know you want to buy a White’s machine because of the company’s great customer service or because they are made in the U.S., I can help you narrow your search. Here’s five of my favorite White’s detectors, listed from least to most expensive. New detectorists who aren’t sure what features they are looking for may want to use the Coinmaster as a starting machine. At less than $200, it’s cheap enough that you won’t mind upgrading to another machine down the road. Even when you upgrade, you’ll find you still get use from your older machine. You can invite some friends who aren’t detectorists to go on hunts with you. Even if you plan to only use this machine and never upgrade to another, you’ll be able to find some quality targets with the Coinmaster. It has basic features, including a five-range discrimination. It allows you to either hear every target or just the types of signals you’d ideally like to hear. The maximum depth reading on the screen is 8 inches. For those out there who have gold fever, this machine will detect gold rings or coins, but if you want a detector for prospecting, such as one that finds gold flakes, you’ll want to look for a different unit. 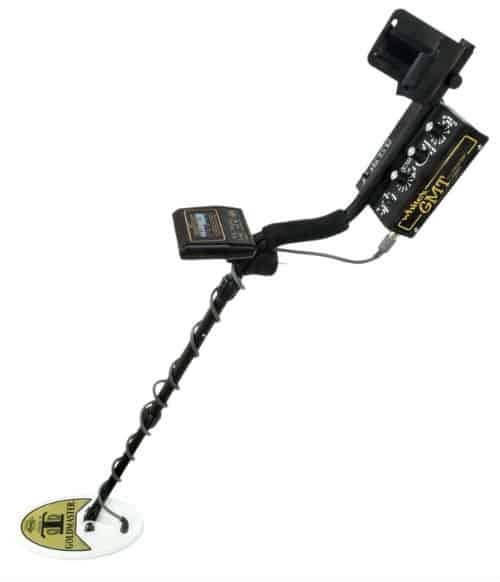 For detectorists familiar with the Fisher line, the Coinmaster is comparable with the Fisher F2, another entry-level machine which costs just over $200. If you’re looking for a machine beginners can comfortably use with very little training, the TreasureMaster is a good pick. 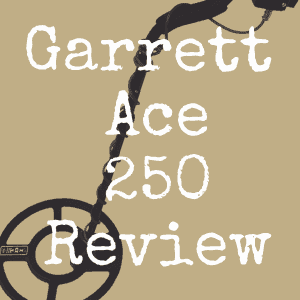 At under $300, this machine is comparable in price and function to the Garrett Ace 300. The Treasuremaster is budget friendly and offers some good features for a lower-end machine. It has automatic ground balancing that adjusts for the varying levels of minerals in the soil to help cut down on false signals. At 2.8 pounds, this machine is lighter than some others, which means you may be able to hunt longer without experiencing arm fatigue. On the downside, this is another machine beginners may find they’ll outgrow after a year or two of use. By doing a little looking online, you can find the MX5 for under $600. This is one durable machine that can take repeated hard use. You don’t need a Ph.D. to figure this one out either – detectorists rave about how easy it is to use. This unit has target ID numbers and a backlit display that allows early or late hunts when you are losing light. Great for beaches, the MX5 is versatile and comes with a 9-inch waterproof coil. But unlike another comparable detector, the Garrett AT Pro, which can be used in the water up to 10 feet, the MX5 isn’t submersible –- only its coil is. The MX5 has volume control, which is nice for people like me who don’t like wearing headphones while hunting. With this feature, you can turn the volume low enough that you can still hear it, but you’re not annoying everyone who goes to the park for some peace and quiet. I don’t want to leave out any beach bums who might be reading this. Beaches are great places to find coins, historical items and the rings people lose in the surf. You better get your scuba gear out for this one. This detector is waterproof up to 100 feet. It has a 12-inch search coil which has a nearly-neutral buoyancy. That means it won’t float away from you in the water, and it won’t sink either. This is sophisticated machinery, but it isn’t too complicated for beginners to figure out. This detector is highly-sensitive to finding gold. The Surfmaster uses pulse induction technology, which will generally detect deeper than VLF (very low frequency) detectors. The headphones are waterproof, but be warned: Even with adjustable volume, some people get headaches from the beeping, especially on prolonged hunts. You’ll pay almost $1,600 to own this machine, which is the same amount you’ll pay for similar high-end machines like the Minelab E-TRAC. That’s a big chunk of change to plunk down on a metal detector, but the quality of this unit is outstanding. Keep in mind that metal detecting is kind of like playing the lottery -– with a little bit of luck, you’ll hit it big. But unlike the lottery, you can stack the odds in your favor by doing research to find historical hot spots. So while $1,600 may be a lot of money for some people, with one good hit this machine could pay for itself. This machine has a rechargeable battery system, multi-frequency detection and several turn-on-and-go hunting programs. Although the coil is waterproof, the control box is not. If dangling chords from headphones drive you crazy, you’ll be glad to know the V3i works with wireless headphones as well as wired ones. A word of warning to newbies: I would never recommend this as a first machine even though it has the turn-on-and-go programs. It is a complex unit that has a big learning curve. And metal detecting isn’t for everybody -– some people might not like the constant digging and disappointment that detecting can bring. I’d hate to see someone pay this much money and then realize they don’t like detecting. First off, let me say how much I love the Surfmaster. It’s a great machine and the depth and sensitivity you get with pulse induction technology is amazing. But it wouldn’t be my top pick off this list and here’s why –- you might go crazy trying to use this at a park or a playground. As I said earlier, pulse induction technology is incredibly sensitive, that’s why you can use it to find things like small gold flakes. Even with the discrimination mode, the Surfmaster would pick up too many junk signals at parks. The Spectra V3i is an outstanding machine, but at that price, it would give me heart palpitations every time I used it, especially if I got caught in a rainstorm. I would be worried that too much water was going to destroy the control box. If I did break this machine, people all over the world would hear my screams of agony. In addition to the worry this machine would cause, I feel it is just too much for the beginning detectorist or the weekend warrior type of hunter to handle. It’s not what I would call user friendly. The Coinmaster and TreasureMaster are both good entry level machines, but I think beginners would want to upgrade within a year or two of owning either of these. My top pick out of these machines would be the MX5. With a nice mid-range price, the machine is highly versatile. You can use it on beaches, in a foot or so of water because of its waterproof coil, and it will also do a great job in parks and backyards. Even new detectorists can quickly figure out how this machine works and head out to find their first treasures. If you liked this article, please “like” our new Discover Detecting Facebook page.